Say you met someone really special on a cowboy dating site and now you’re about to go out but you have no idea what kind of date to make of it. A cowboy date is not like your regular date, that one’s pretty clear. Cowboys and folks who are into the cowboy lifestyle have their own idea of fun and their own idea of romance, but there are many common places that may come off as stereotypical. For example, the first things that come to mind when thinking about cowboy dating are horses and rodeo, perhaps a bar that looks like a saloon. These are pretty terrible clichés since there are so many other interesting things a couple can do on a cowboy date. Cowboys and cowgirls are generally pretty outdoorsy, so spending a day outside in the fresh air is always a good idea for a date, especially if you live in a big city and miss the country lifestyle. 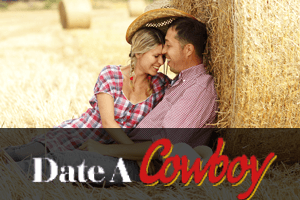 So, which outdoor activities could make the perfect cowboy date? Well, how about some good ol’ hiking? You can take a nice long hike in your local park or explore the nearby paths and tracks while chatting and getting to know each other along the way. Riding bikes is also a great idea if your area is favourable to such an activity. Just make sure your date is in good shape before you propose going on a long bike ride or a steep mountain hike. Speaking of parks, there are so many things you can do out there. You can make a nice little picnic, with a picnic basket and a cooler full of cold beer. It’s romantic, it’s outdoorsy, you get to take in the fresh air and enjoy the cool breeze. Birdwatching is also pretty fun, especially if one of you actually knows a thing or two about birds. Take advantage of what your area has to offer. If you live in a cold mountainous area, go skiing, sledding or ice skating. If you live near the ocean, the beach is the obvious choice. You can fly a kite, surf or simply sit by the ocean and enjoy the sunset. Fruit picking is another great outdoor activity for cowboy dating. Everyone loves fruit, right? There are many pick-your-own-fruit farms out there now, and they can be a lot of fun. Camping is great, but it’s probably not the best idea for the first date. After a few dates, though, spending the night together in a cozy tent somewhere nice, under the stars, can be incredibly romantic. For a more dynamic and entertaining date, you can check out the carnival or the county fair. Most cities in America have some sort of street fair on a regular basis, and these are always fun. If your date seems like an adventurous type, you can kick things up a notch by suggesting something really daring and unusual, such as a balloon ride or spelunking (cave exploring). On the other hand, if you want your date to be truly in the spirit of the cowboy lifestyle, there are tons of classic cowboy things to do. You can, of course, go see a rodeo together or go for drinks in the local honky-tonk bar. If there isn’t a typically cowboy-styled bar or club in your area, why not recreate it at home? Play some country music on the stereo, make some ribs and pour some whisky, dim the lights and you have your own cowboy date right there! If your date is into horses, which is probably the case, then you should definitely have at least one horse-related date. Go to a point-to-point, visit the local stable for some horseback riding, maybe get some lessons too. There are also dude ranches where the whole cowboy lifestyle is recreated to the tiniest detail. You can dress up in the Old West costumes, get some drinks at the local saloon, watch some cowboys do their thing, learn about cattle sorting, take a hay ride. Most cowboys are really into fishing and hunting. A fishing day trip can make a terrific date, especially if you have a boat. Hunting can also be fun, but it’s more physically demanding so don’t make it a surprise date. Remember that your cowboy date doesn’t have to scream “cowboy” every single time. There are tons of things to do outside in the countryside that every cowboy and cowgirl will surely appreciate.